Hello people of the internet! 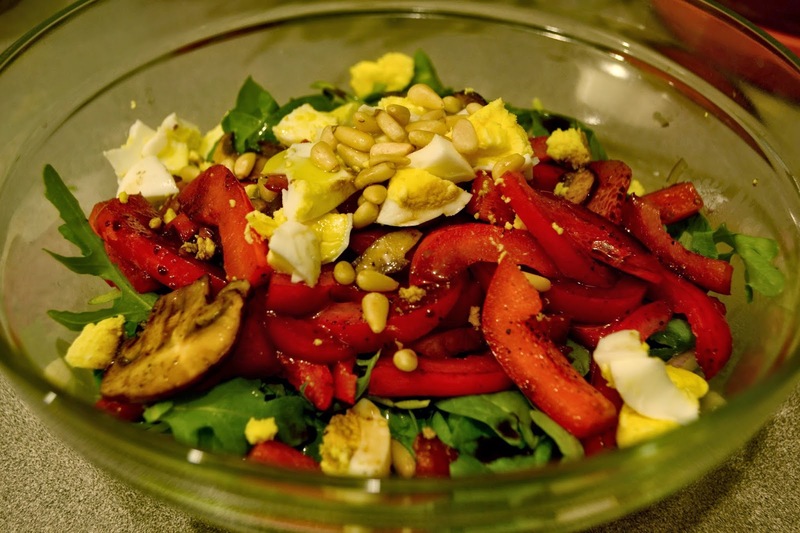 Today, I bring to you a yummy protein packed salad I made tonight for dinner. Here is a great way to stick to your new years resolutions! IF that being, clean eating or just trying to add more plants to your diet. Regardless of a resolution or not, it never hurts to fuel yourself with living vibrant foods. 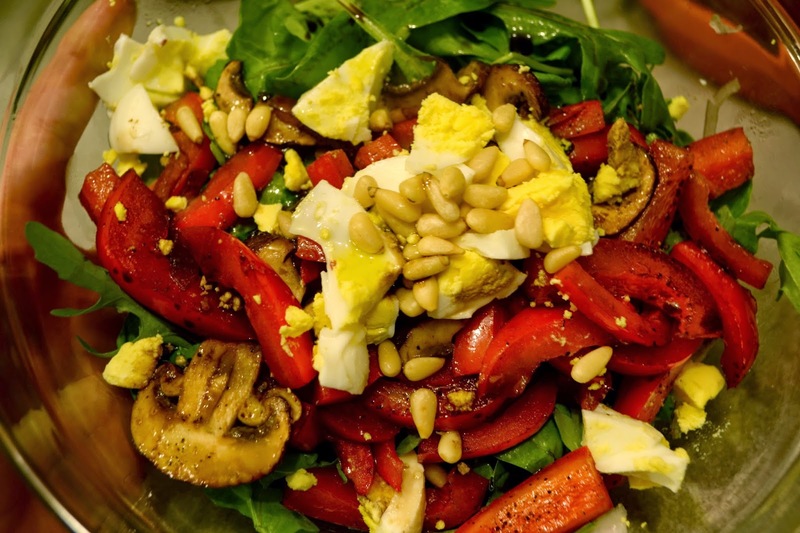 this salad is perfect for anyone. It can be easily alternated to your liking, You can leave the eggs out and keep it vegan, or add whatever vegetable melody you desire. I Started off by adding chick peas and chopped red onion to the bottom of the bowl. 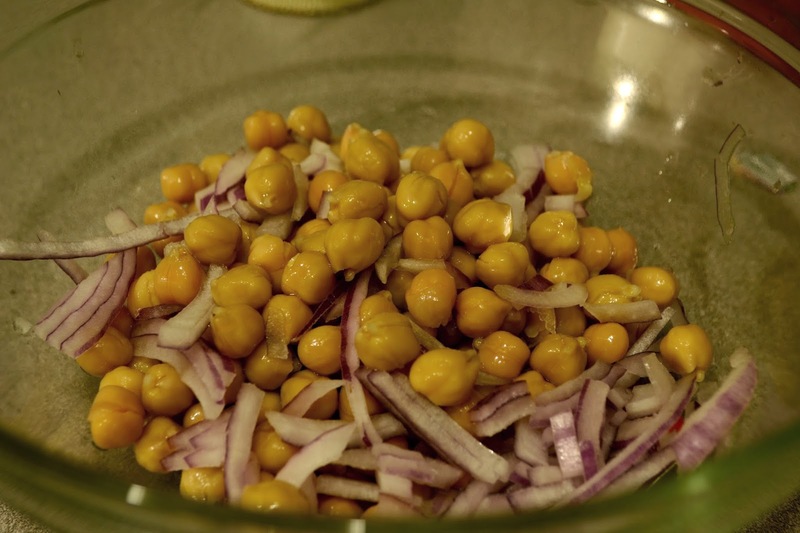 Chick peas are high in protein and are a staple item in my home. They are easy to add to salads, turn into burgers or eat as hummus. 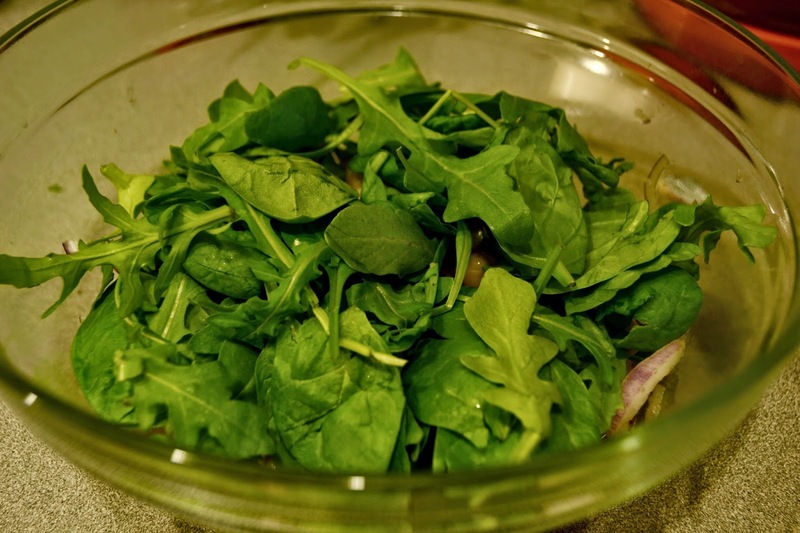 I then added a layer of baby spinach and arugula! 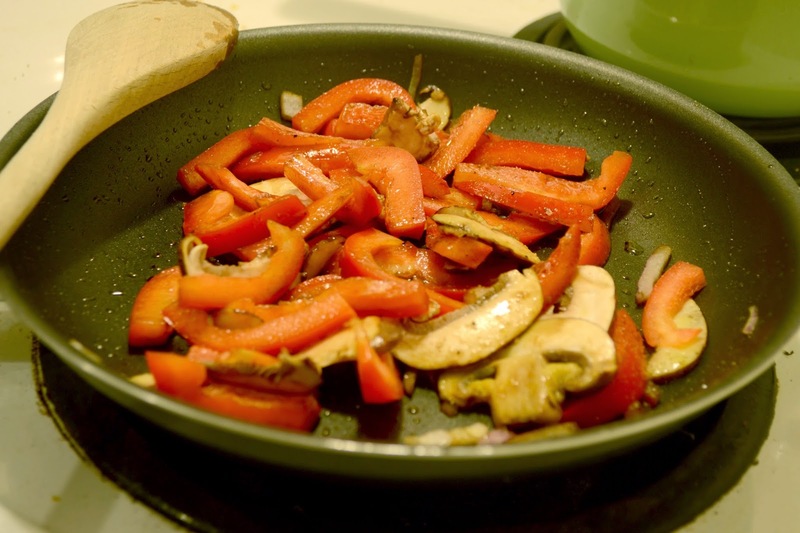 I then like to toss red peppers and mushrooms in a little bit of olive oil and balsamic vinegar for a few minutes. You can choose to leave this step out if your running low on time. Once you've got your veggies ready, throw them on top and add whatever you'd like! I chose to add a hard boiled egg (I try to stay away from eggs, but once in a while it's okay) pine nuts, salt and pepper, tossed in olive oil and balsamic viniger. Have fun with it, and enjoy!